Would you like to know how you can help support our mission and further our impact in the community? Please see the list below for the different ways that you can contribute. Attend our events throughout the year. Details here. Please click here for a form to link your Tom Thumb reward card to the Junior League of Collin County. Enter 4790 for the charity number on the form. 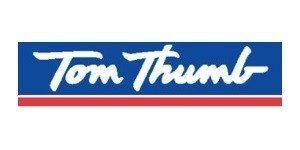 When you shop at Tom Thumb, a percentage of your purchases will be donated to the JLCC through Tom Thumb’s Good Neighborhood Program. Please click here to see how you can link your Kroger Rewards Card to the Junior League of Collin County. When you shop at Kroger, a percentage of your purchases will be donated to the JLCC. Enter 83261 then select Junior League of Collin County and confirm. Do you shop on Amazon? If you go to the website for Amazon Smile, and create an account and designate your charity beneficiary to be Junior League of Collin County, then when you shop, Amazon will donate a percentage of your purchases back to the JLCC. Advertise in Legends & Legacies Magazine. Contribute to the JLCC mission while increasing your own brand awareness in the process. Advertising space in the annual JLCC magazine Legends & Legacies is reasonably priced and offers the benefit of exposure to an educated, high net-worth demographic. Readers include members, sponsors, and partners of JLCC.